Pelican Lakes Member Exclusive Golf Trip! Pelican Lakes Golf & Country Club is offering a unique travel experience for its membership. 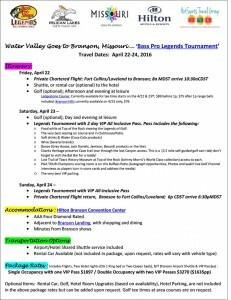 On April 22-24 members will be able to travel to Branson, Mo. and watch the Bass Pro Shops Legends of Golf Tournament. 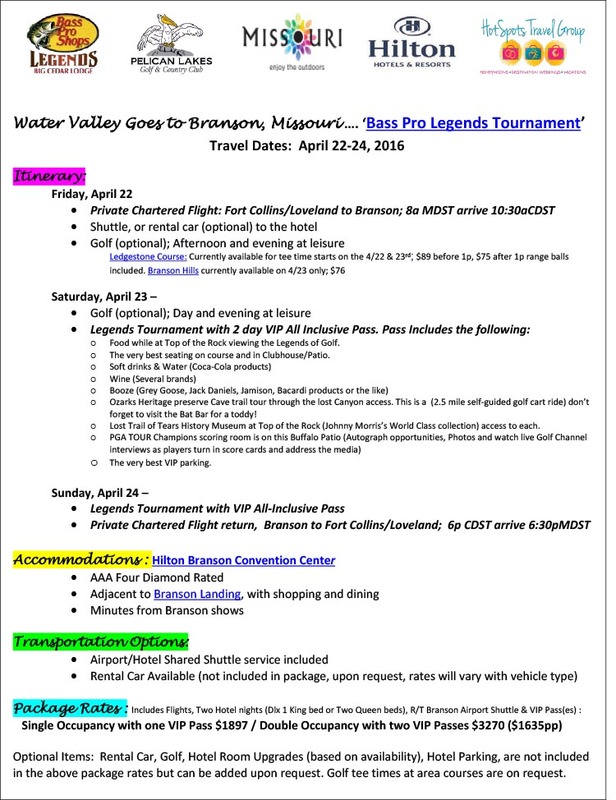 Members can also play golf while in Branson, and will travel to the event on a private jet out of the Fort Collins/Loveland Airport. Guests will stay at the Hilton Branson Convention Center for two nights, and will be treated to a VIP experience at the Champions Tour event. For more information, call Janet at (970) 686-7077 or email her at janet@hotspotspro.com.